Hi awesome readers and health enthusiasts! Remember NuNaturals on my previous post? They came out with new products and I was given another opportunity to try them in exchanged of my honest review. One of the products they sent me is their NuStevia Cocoa Syrup. I was very excited because my family are a big fan of chocolate syrup, sadly what we usually get from the stores are high in sugar and uses corn syrup. But not anymore, since I found out that NuNaturals have this delicious, healthy, no sugar, no calories, no sodium, no fat, gluten free, with less than 1 gram carbs and affordable cocoa syrup I will never buy the other brands. Yes! NuNaturals Cocoa Syrup is affordable because you only need a small amount of this to sweetened your favorite beverages or to compliment your favorite recipe. I will be sharing my own delicious and tasty low calorie recipe using Cocoa syrup on my next post. Try it on your favorite fruit, makes awesome chocolate milk, add it to your coffee, tea, cappuccino, yogurt and smoothies. Make a delicious chocolate cheesecake, pie, cake or cookies . 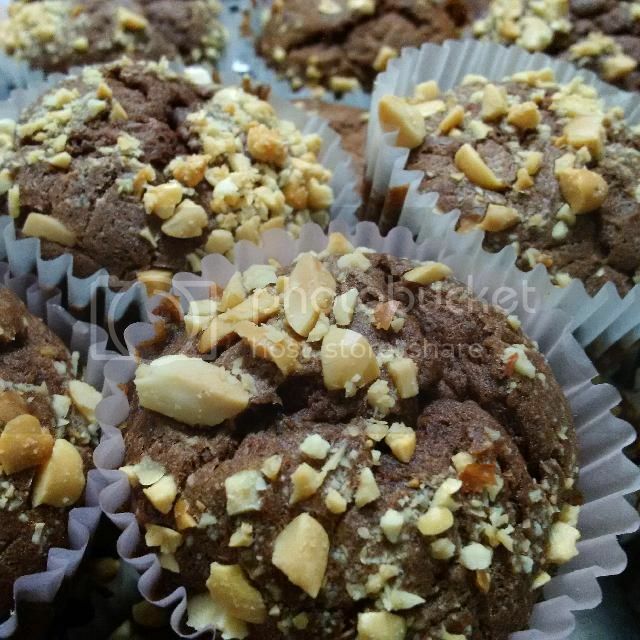 Here is my recipe using NuNaturals NuStevia Cocoa Syrup. Click Chocolate Banana Cupcakes. The rich CHOCOLATE taste of our Cocoa Syrup will instantly transport you back to the days of your childhood WITHOUT the sugar and unhealthy additives. Give your kids the CHOCOLATE satisfaction they crave without the added sugar. You will fell GUILT-FREE! Soy,msg, yeast, gluten, wheat, milk, synthetics, artificial colors or flavors, preservatives, sugar, saccharin, aspartame, sucralose or artificial sweetners. What we think about the product? We love the rich chocolate flavor of cocoa syrup. It actually reminded me of my childhood. Back in the Philippines my parents planted cacao trees on our backyard and made our own cocoa powder from cacao seeds. This product has cocoa so I was able to make some Filipino food that use cocoa. One of the recipes is the Sweet Chocolate Rice Porridge. I also made chocolate milk drink for my kids and they love it. We used it as an ice cream topping too and added this to my coffee. The only thing I would ask from NuNaturals is that, I hope they can reduce the sweetness a bit so I can add more cocoa syrup to the milk or recipe. Adding more syrup will make the drink look more chocolaty as well as the recipe. That's it, other than that I love the product and will definitely buy in the future. To find out more about NuNaturals products visit their website www.nunaturals.com. To get updates about their products and promos follow their Facebook and Twitter account. NuNaturals is also giving away 15% discount on your entire order. Yes! When you get to your checkout page, enter the DISCOUNT CODE: BL0614 and you will receive 15% off on your entire order. This discount is valid until June 30, 2014 only. Disclaimer: This is not a sponsored post. I received this product from NuNaturals for free in exchange of my honest opinion. However all opinions expressed were exclusively mine and not influenced by any means. That syrup sounds really good - and who doesn't love chocolate! wow this does sound good! I have never seen this but I will have to look for it in the stores or online! I've never had cocoa syrup, sounds interesting to try though. Thank you for the information on this product. I do love chocolate. I've never had something like this in my life, though I'd like to give it a try since it is chocolate. That sounds like a great idea for coffee or cappuccino. I am a big fan of cappuccino and it would work for me. I like natural too. Oh my. I need some guilt free chocolate. I have used nunatural products before did not know they had this though! I would really like to try the NuNaturals Cocoa Syrup! I love that it's no sugar, no calories, no sodium, no fat! I bet it's awesome! Interesting....I haven't seen this product before! The only sweetener I use is honey but I'll have to try this. Looks good.. I have used stevia powder before and it is a good substitute for sugar. I bet that cocoa syrup would make cookies and other baked goodies even tastier. I like the idea of getting chocolate in a healthier way. This sounds great to try! I am going to have to try this for my niece who was just diagnosed with celiac's. Thank you so much! I have a few of their products, super yummy! Wow sis, mukhang you are using all these healthy things in your kitchen. Oh, I want to try that one. I want to know how it taste like if I add it on my cereal or other baked goodies. I haven't used my syrup yet sis, okay din ba sya? Haven't tried any of it. I have never been a fan of stevia but this cocoa syrup looks like it could be good on a lot of things! I'm using Monin brand before for syrup with coffee, smoothies, and shakes. Maybe, this is okay too. Galing mo sis, iniisa isa mo talaga ireview hehehe. I reviewed all of them at once. This is much better than sugar when you need to get sweetness in your drinks and dishes.